Ever wondered what life would be like if we had the eyes of God? 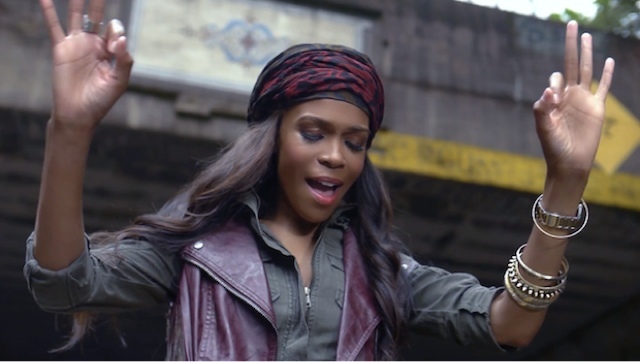 Ex-Destiny's Child member Michelle Williams takes us through that with the visuals to her new single ‘If We Had Your Eyes’. The new video directed by Derek Blanks - shows a homeless man begging for money, and a woman giving it to him. Also a young woman who cuts herself in the wrist and suffers from self-harm. If you're a person of faith - this video is bound to leave you with a tear or two, as it's easily relatable. ‘God, if I had your eyes..
God, help me to see things the way you see things. Was the little prayer Michelle used to wrap up her song and music video. The visuals feature another ex-Destiny's Child member Letoya Luckett. If you had the eyes of God, how differently will you act?